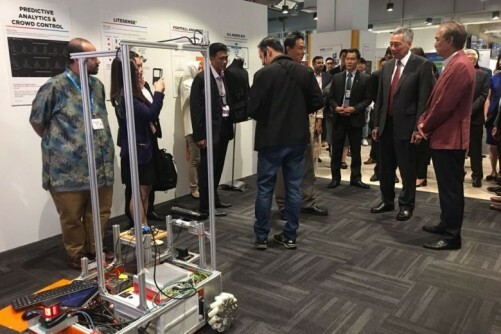 Smaller logistics companies now have access to sophisticated technology at a new innovation laboratory unveiled yesterday at Republic Polytechnic (RP). The 1,000 sq m Supply Chain Innovation Lab - nearly the size of an Olympic swimming pool - simulates a distribution centre. It aims to help small and medium-sized enterprises (SMEs) develop and try out new solutions in a bid to raise productivity in the industry. 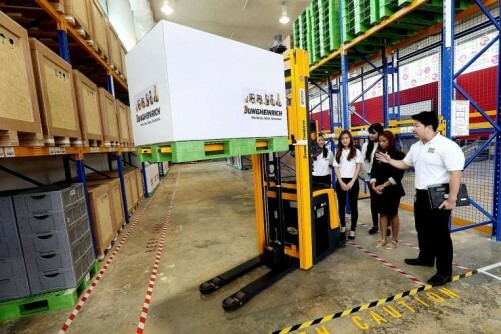 Logistics students will also have hands-on training in managing warehouse operations with innovations such as a driverless forklift, an automatic picking system and a robotic arm, in what is believed to be the first such set-up in South-east Asia. The logistics industry has been identified as a future growth cluster, said Parliamentary Secretary for Trade and Industry and Education Low Yen Ling at the launch at RP yesterday. It contributed about 7 per cent of Singapore's gross domestic product last year and employs more than 188,000 workers. "The Government will continue to grow this sector by enhancing our logistics infrastructure so that our companies are well positioned to seize growth opportunities," she told about 300 company representatives and students at the start of RP's Technology Festival. A vibrant logistics industry will enhance competitiveness in manufacturing and productivity in the service sector, she added. Dr Wang Jianguo, director of RP's School of Engineering, said SMEs can test new technology at the facility and hopefully feel more confident in investing in and deploying it themselves. "We hope students (using the lab) will be able to bring new technology, new ideas and new imaginations to the logistics industry," he said. The lab is co-funded by RP, the Economic Development Board and Spring Singapore. Companies interested in testing out new technology or ideas can approach the Centre of Innovation for Supply Chain Management to work with students on final-year projects, while funding is available for larger projects, said Dr Wang. The innovation lab will contain a Lean Production and Services Lab by next April, after an agreement was signed yesterday by RP and management consultancy McKinsey & Company to develop it. This lab will help students and businesses learn to improve operations management while producing real products in a factory set-up. Yesterday, the logistics industry's Earn and Learn Programme was also launched under the SkillsFuture initiative. A total of 36 mentors from 15 logistics firms, including DHL Supply Chain Singapore and ST Logistics, will be training 39 polytechnic graduates in the first batch. One firm involved is corporate gifts distributor Axxel Marketing, whose senior corporate development manager Adrian Ngooi said the programme and lab would expose staff to new equipment that most SMEs may not be able to invest in straightaway. 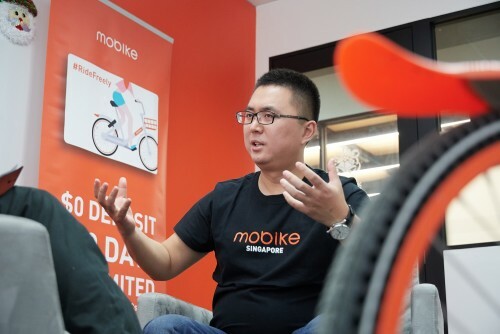 "Even if we don't implement the same machines, we at least have the concepts and the staff can hopefully apply these to the workplace and look at how to make things more efficient," he said. Ms Esther Tan, 23, who works as a customer service officer at another firm on the programme, SDV Logistics, said she hopes to be able to suggest ways to improve work efficiency, such as by using the technology in the innovation lab. "They're good solutions for an industry that's having trouble finding labour," she said.